Whether you are a first time buyer or an experienced home owner there are always a number of things to consider before buying a house, or even in some circumstances begin searching for a home. There is so much to consider so we thought we would cover off four key points that we think you should think about before even starting your search or making an offer. What is it You Want and Where do You Want It? Do you know what sort of house you want? 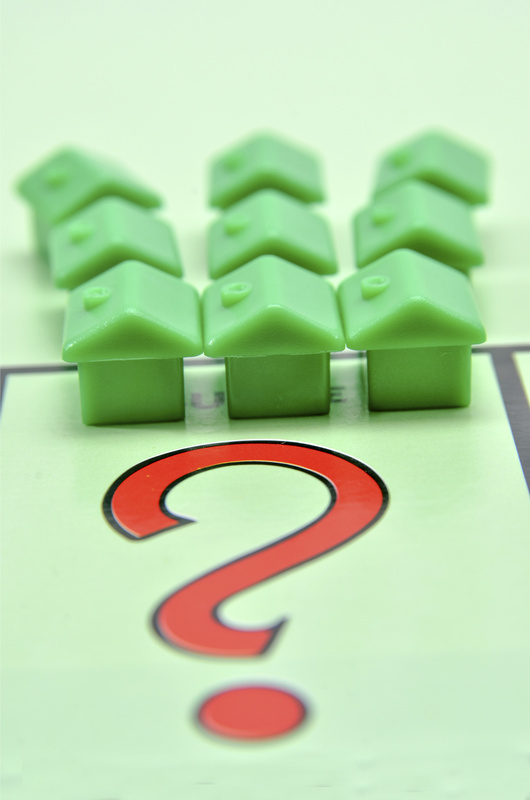 There is no point starting property hunting without fully understanding what you are looking for. Not having a good understanding of what you want could mean that you waste your time looking for properties that aren’t suitable for you. All of these points and more are crucial to understanding exactly what you want from a home, which when it comes to finding a property, will make the process so much simpler. Not only do you need to decide what it is you want, but where do you want it? The average house price in England according to Zoopla is £305,796, if we compare this specifically to the house prices in London, it more than doubles to £649,378. This demonstrates just how important it is to decide where exactly you want to live. There will be a number of factors to consider including price, availability, family, proximity to work, schools and whether to choose city or countryside. So before you start looking at houses you need to decide exactly where you want to live. Even if you have chosen a specific area it would be worthwhile thinking about whether a town or village 10 miles away could be a better option for your budget for example. So before you even start looking in windows of Estate Agents, or going on Rightmove or Zoopla think about these two crucial points first, you have no idea how worthwhile you will find it. Have you thought about how long your will be living in this property? When you start to think about buying a home it is easy to get swept up in the excitement of house hunting, especially for first time buyers. But you shouldn’t forget to consider where exactly are you going to be in 5 years and what are you going to be doing. Especially as a young first time buyer you may find an amazing home, that is within your budget, and you love it…right now! Are you prepared for a few years’ time when you could be having a family, could be in a new job, or what could happen if your financial circumstances change? A property is a long term investment and if you find that you need to move just a couple of years after first buying the property then you could find that you incur some hefty charges from the mortgage company, more estate agents fees and a further stamp duty bill. Family – will you be starting one, will children move out, will you need to be nearby? Job – will you be in your current job for a long time, are you willing to commute if you do get a job somewhere else? Schools – will your children need to move up into secondary school in the next few years? Financial circumstances – are you secure in your current job, do you have a back-up if things do change? The financial implications are one of the biggest factors to consider before entering the housing market. First of all can you really afford this? It is crucial for you to understand whether you will be able to afford to make all the payments towards the costs involved in buying a house and that isn’t just your mortgage. First of all let’s think about your mortgage. Have you got a good enough credit history to allow you to get a mortgage; and think about the mortgage that you are applying for will you be able to afford the monthly repayments. You need to ensure you go for a house you can afford now, not a few months down the line when you hope to receive that raise you have been promised. If you do work out exactly what you can afford, it is a great idea to get your mortgage organised early, you will find the house buying process slightly easier if you already have a mortgage offer in place, and it will look more favourable in the eyes of the vendors. You should also be thinking about interest rates. If you opt for a fixed rate mortgage then the interest rate will be fixed throughout the period of your deal. However, a fixed rate mortgage isn’t always the best option, so if you do decide to go for a tracker, discount or offset mortgage you will need to think about whether interest rates could change over the coming years and whether you will still be able to make your payments if this happens. A crucial question you should be asking yourself is, am I or are we financially ready? Who Do You Need to Help You? Thankfully you won’t be in the process alone, but you do need to ensure you find the right people to help you. Let’s start with an Estate Agent. Navigating the property market can be tricky business and properties can come on the market very quickly and be under offer the next day. 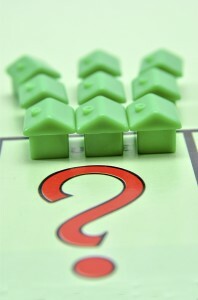 Make sure your estate agent knows your criteria and informs you immediately when relevant properties become available. It is important though to realise that the Estate Agent’s main objective is to the sell the property for the vendor. They will be charging the vendor a percentage of the sale price so their priority is getting the best price possible for their client. A surveyor is another key person who you will need to help you when buying a house. Once you have found a house you want to buy and had an offer accepted, then it is crucial that you get a survey done on the home to highlight any issues. If you find, through your survey, that the roof needs completely replacing, you can withdraw your offer or start negotiating a lower price. Finally conveyancing describes the legal transfer or property between the seller and buyer, for this stage of your property hunt of course you will need a good solicitor to help you legally complete the sale and transfer of the home. A solicitor will explain all the legal steps involved with buying a home and deal with any legal issues that arise along the way. Be aware though that some solicitors charge you for each correspondence with them or the vendor’s solicitor. Be sure to have an idea of their fees before you enlist their help. Are Your Prepared to Buy a House? Buying a house is not a decision anyone takes lightly, it is likely to be one of the most important purchases you will make in your entire life hence why planning, research and taking as much time as your need is crucial. If you are a first time buyer then this process could be even more daunting, but we are here to help, why not check out our previous blog posts on what first time buyers need to know about purchasing a home and what happens once you have found your dream home. Most importantly if you are about to embark on the process of finding a new home, we would like to say good luck! This entry was posted in Buying a House, First Time Buyers on March 15, 2016 by Sue Blatchford. The Future of Housing – How Will We Be Living and What Will We Be Living In? What’s Trending in The World of Interior Design in 2016?